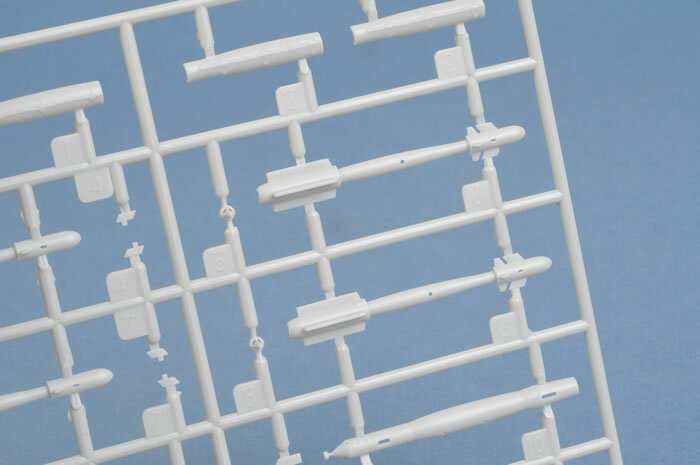 Injection moulded plastic and decals. See details below. 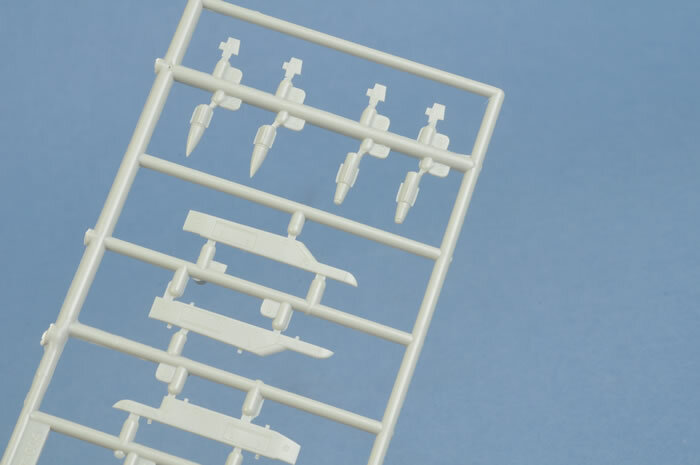 An excellent addition for the latest kits of the French and export versions of the Mirage 2000 and some weapons are also applicable to the Mirage F.1. Highly Recommended. 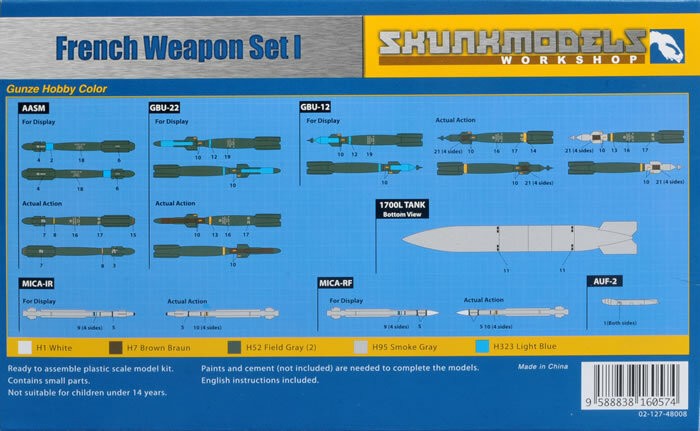 Skunkmodels Workshop has released a sequel companion to its earlier releases of weapons sets some months ago. 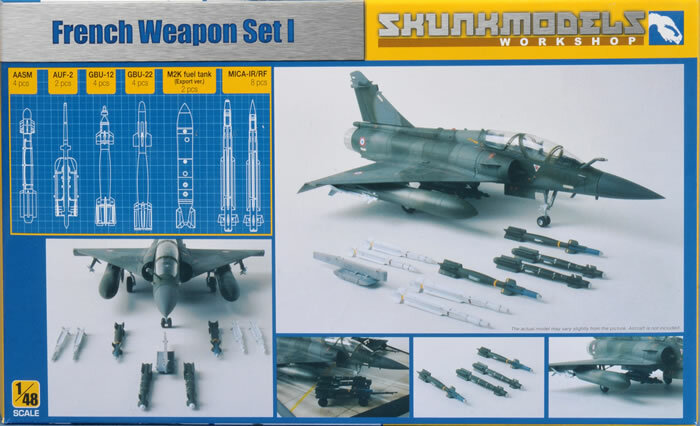 This one is dedicated to modern French weapons, primarily for the Mirage 2000. 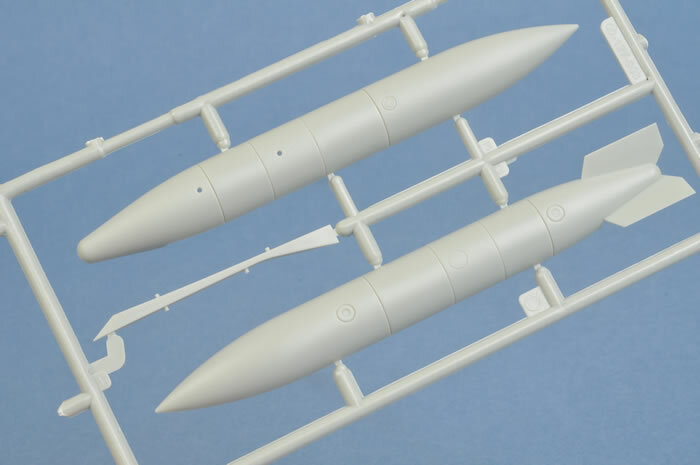 8 x Mica Infra-red seeking air to air missile and radar seeking air to air missile. 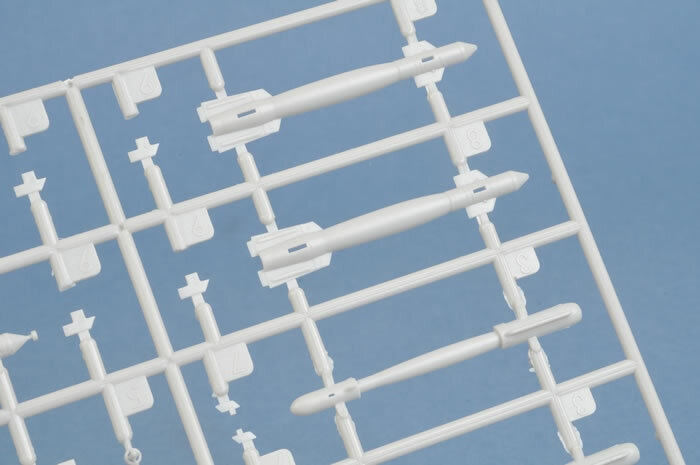 The parts are moulded in medium grey injection moulded plastic to a superb standard with detail finer than Hasegawa’s US Weapons sets. 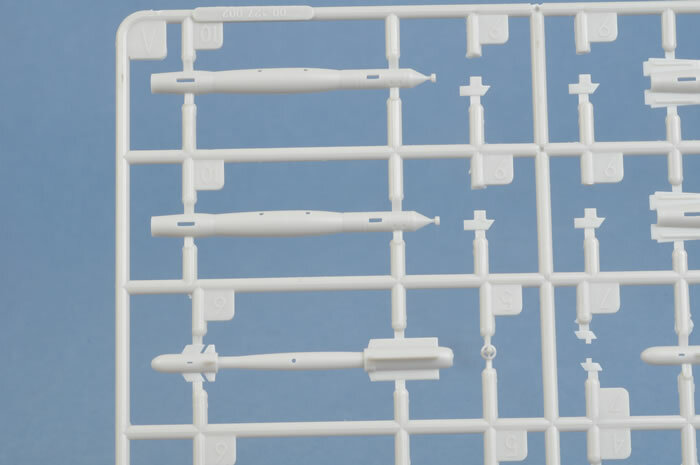 Each weapon is made up from multiple parts, all with separate flying surfaces and fins. 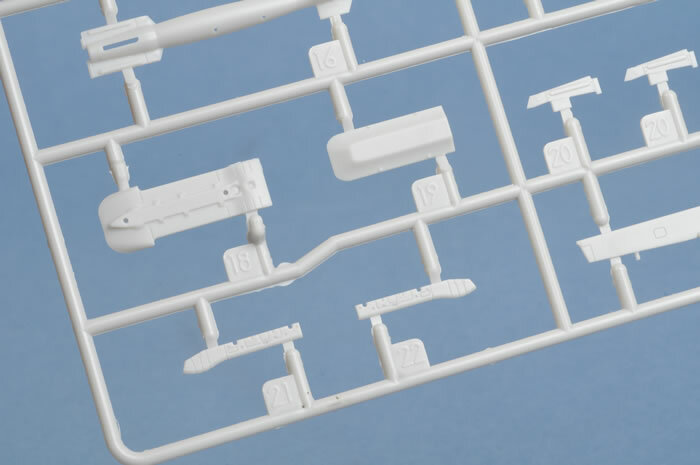 The detail is so finely moulded that even the contour detail on the missile fins has been faithfully reproduced. 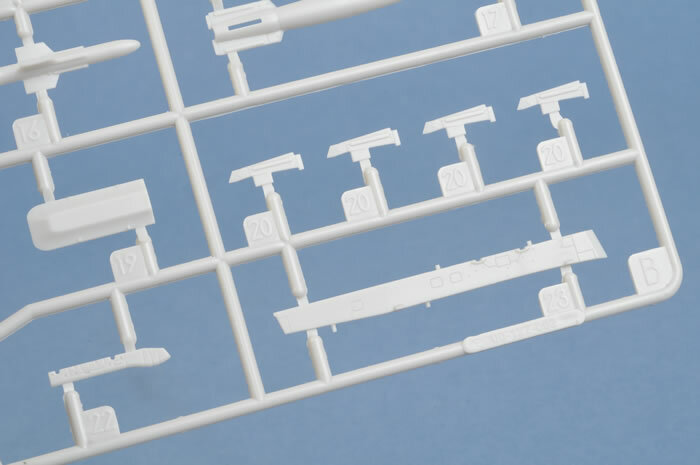 Also included is a comprehensive set of decals for each weapon. 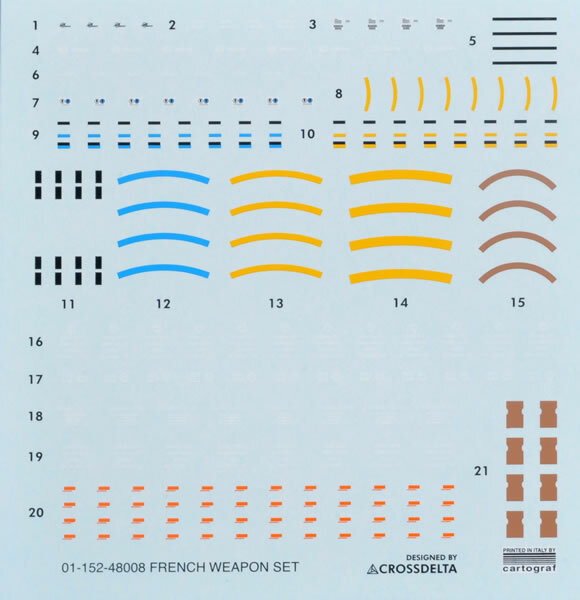 The decal markings provide data and explosive recognition stripes. 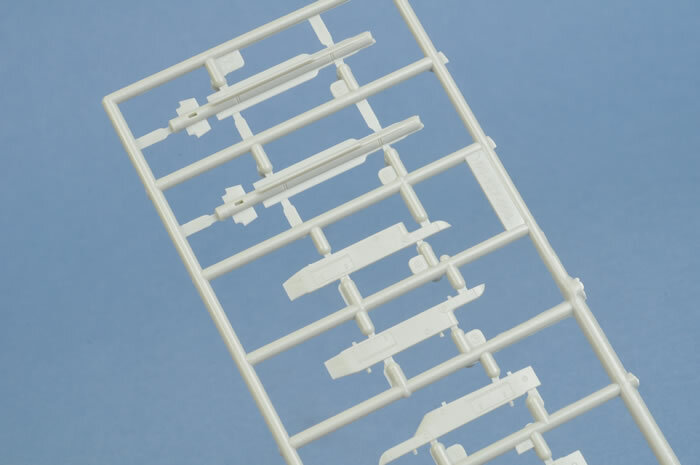 A colour instruction for paint scheme and decal placing is printed on the back of the presentation box and paint colours are given as Gunze Mr Colour paint numbers and the actual colour or FS number is also given. 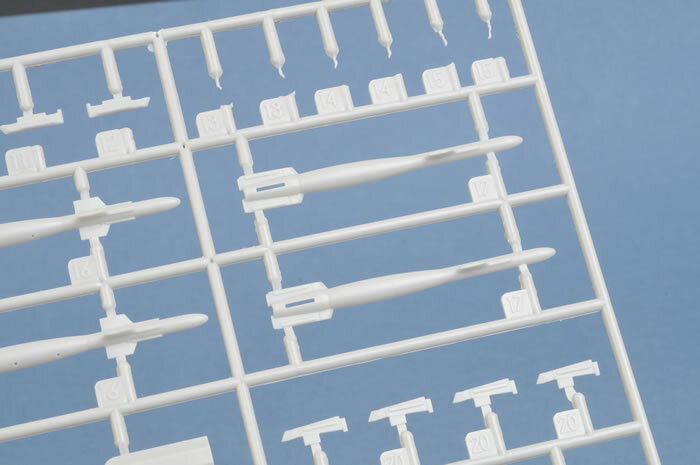 This is an excellent addition for the latest kits of the French and export versions of the Mirage 2000 and some weapons are also applicable to the Mirage F.1.